You have to understand up front – I spent most of my growing-up years in Australia, famously described by one poet as “a sunburnt country, a land of sweeping plains”*. Our forests don’t drop all their leaves every year or sprout a fresh new iridescent green every spring. And while they do have their fare share of dangerous spiders and deadly snakes (okay, waaay more than their fare share) – what we don’t have are large predators with huge teeth and razor claws, beasts than can run faster than you, are strong enough to push over a tree for god’s sake, and leave nothing of you behind except your chewed and bloody boots. 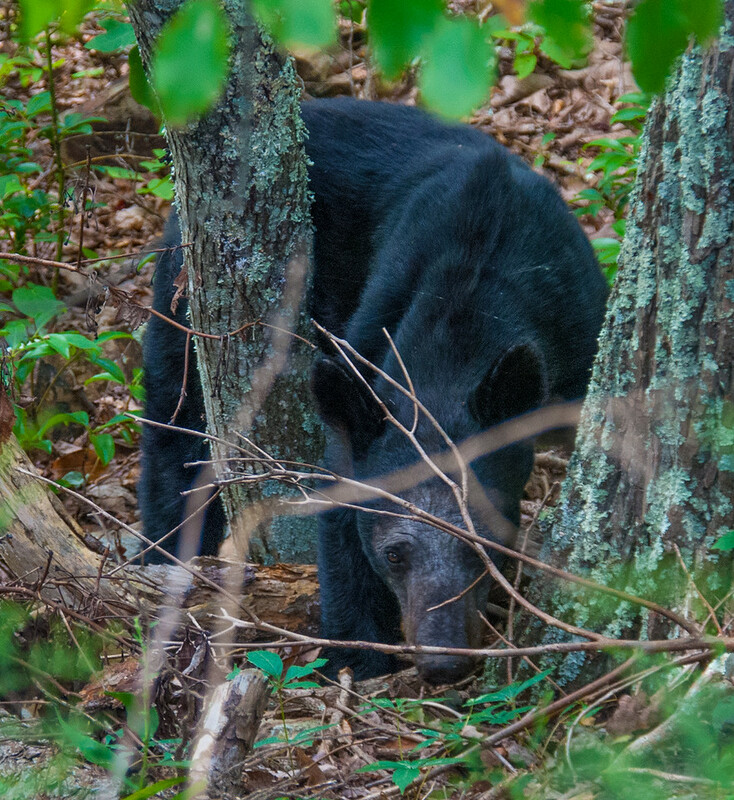 Which will make you wonder why seeing a bear in the wild was number one on my wish list for visiting Shenandoah National Park in Virginia, USA. I love northern hemisphere forests. In Australia, our forests are an olive green blanket of eucalyptus trees, with grey scraggy underbrush and apple-green ferns beneath. You can literally walk for weeks and nothing much will change. It’s hell for rescue services searching for lost hikers. And yes, for a hiker it can be a little, well, same-ish. In the north however – US, Canada, UK, Europe – there’s much more variety of trees and plants together with the wonderful variations of season. On this trip to the USA I was desperate to throw myself into some real northern forests, to stand surrounded by elm, maple, oak and pine and breathe deeply of the complex foresty scent. 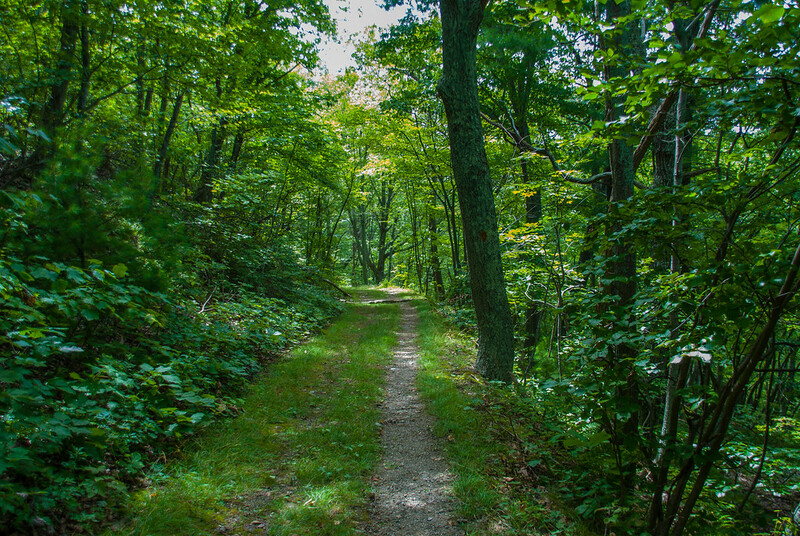 With its equally complex history, Shenandoah National Park was a perfect destination. Of course, it wouldn’t be right to talk about this place without mentioning it’s intriguing and thoroughly disreputable history of moonshine, made all the more interesting for me from watching the movie, Lawless, (which I loved!) a true story from the bootleg ridden hills of Virginia. My path into Shenandoah began at Rockfish Gap (where a food truck sold me the best hotdog I’ve ever had) where I turned from Highway 64 onto Skyline Drive – which follows the crest of the Blue Ridge mountains north for over one hundred miles. Deep forest covers the entire distance, with lookouts, a few hiker’s huts and a whole bunch of wildlife in between. 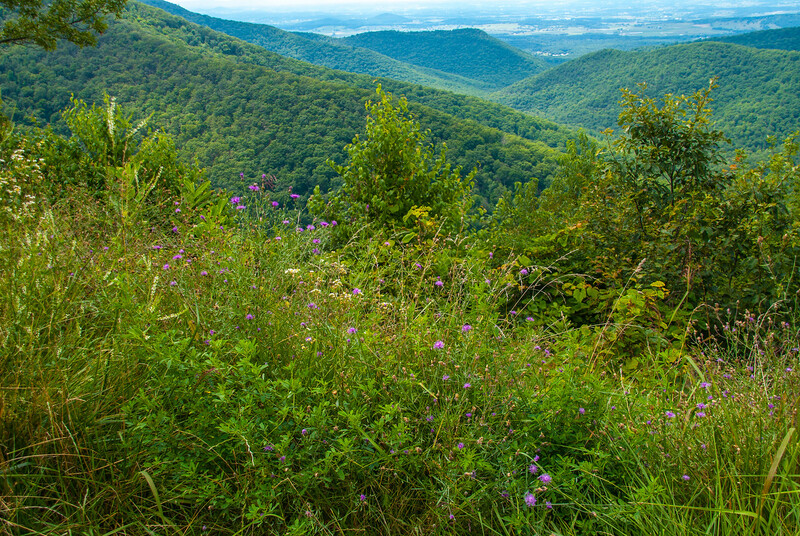 Shenandoah National Park was America’s first national park created entirely out of land that was already occupied – a source of enormous controversy from its designation in 1925 to its eventual opening in 1936. To create the park, the government forced the purchase of land and the resettlement of more than 1300 families, some of whom had history going back hundreds of years. Many of the displaced mountain people ended up working on building Skyline Drive or in forestry regeneration for the National Park. 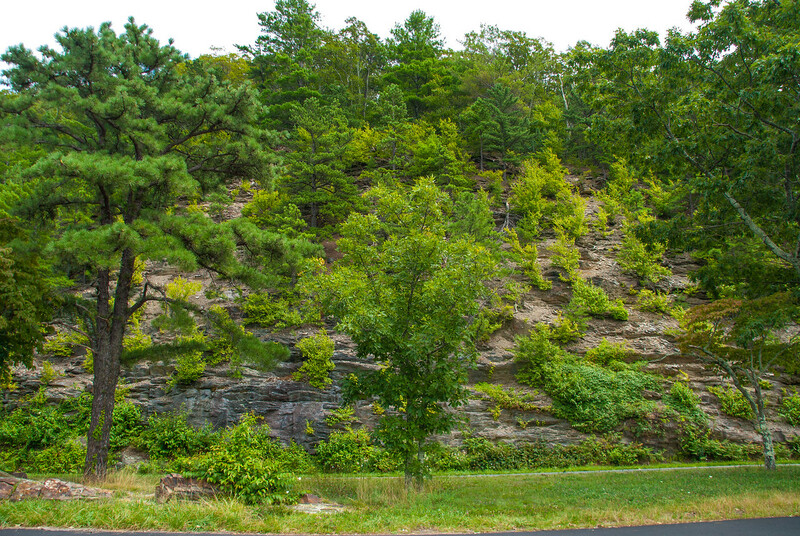 Others put up quite a fight, like Lewis Willis who owned 229 acres near Marys Rock. He created the Landowners’ Protective Association in 1929 to protect the farmers and stop the Park. Although his efforts were admirable, the mountain people were too scattered to create a truly cohesive movement, and too many had been convinced of the argument to create the park. Willis continued his fight but ultimately failed. He was 70 when the park was established – but the Secretary of the Interior placed him on a list of elderly residents who were permitted to remain on their properties until they died. Willis passed away at his mountain home in 1958, still passionate about the forest and its survival. And survival of the forest was at the heart of the campaign to create the Park in the first place. Throughout its history, the Blue Ridge Mountains had been popular with hunters and trappers – both Native American and European – until European settlers arrived and flourished in the lush environment. The forest was already rich in foods such as berries, nuts, roots and seeds while game, fish and birds were all plentiful. The fur trade was huge in the early days, but settlers preferred cash crops such as tobacco, flax, wheat, hemp, cattle and corn. There was more than one hundred plantations at the area’s peak. By 1830 however, overuse and bad husbandry saw the larger plantations begin to die, with the smaller holdings better suited to the changing conditions. Mining and charcoal makers also moved in, and that perhaps more than anything else, caused catastrophic damage to Shenandoah. Forestry and milling stripped about 80% of both hardwood and softwood by the time President Teddy Roosevelt issued a report on the terrible state of the forest in 1902. Fires caused by charcoal making and thunderstorms were doing irreparable damage both to the forest and to property, and the creation of the park was in part an attempt to prevent more fires. 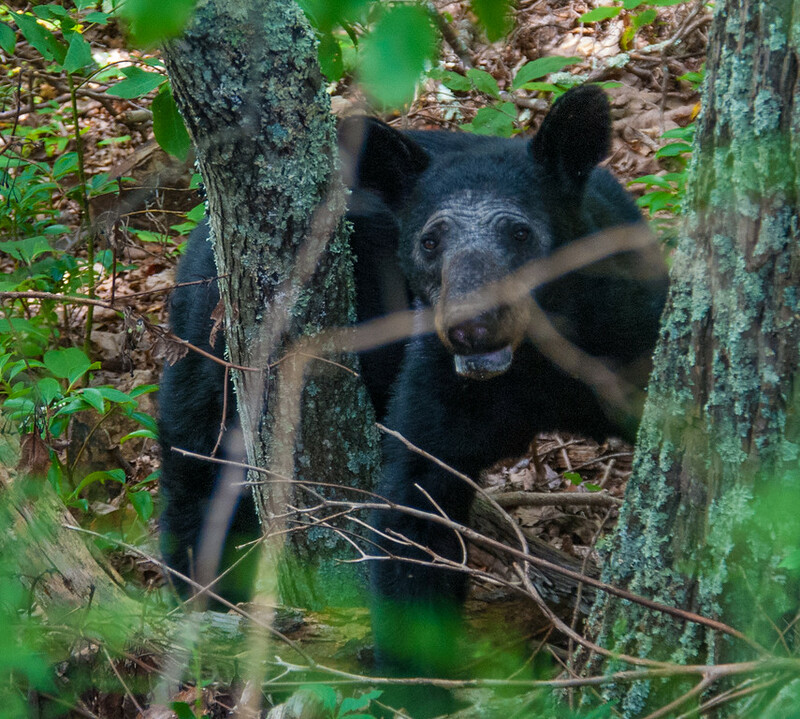 Although it took more than ten years from inception to creation, Shenandoah National Park forest began to quickly re-establish itself with a lust for life on a breathtaking scale. Travelling along Skyline Drive today, it’s hard to imagine that you’re seeing anything other than an entrancing and glorious virgin forest. A hazy sky hung over every view I stopped for, the summer’s heat heavy and oppressive until I became surrounded by the forest. My little red rental car took the curves and switchbacks of the Skyline without any trouble, and I drove with the windows down, munched on kettle corn (which I’d never tried before) and simply enjoyed the view out the window. You can hardly turn a corner without finding an outlook, a spot to park or the trailhead of some path heading into the thick trees. After an hour, I couldn’t stand it any more. I turned into the parking bay at Blackridge Mountain and pulled on my hiking pack. It was already mid-afternoon by the time I started down the track, and it was wonderful to stretch my legs at last. Trees quickly closed in over my head as the path followed a ridge downhill, allowing little peeks into the surrounding hills on each side. I caught sight of an industrious squirrel escaping with an acorn in its mouth, and a rider coming up the hill on a horse who didn’t seem too happy about having to do all the hard work. Other than that, there wasn’t another soul around. I could hear only the forest; the road and its steady traffic were inaudible. Can I just say how divine it was to just wander with the dappled sunshine spread across the path before me, short puffs of air making leaves rustle and branches move just a little. It was still warm, but moist cool air from the forest provided an effective antidote to the suffocating humidity of the valleys. Peace descended and for a while there, time stopped too. As corny as it sounds, I felt at one with the forest – and it was heavenly. But of course, the downside to walking downhill is the prospect of having to go back up again and as it was getting late in the afternoon and I still had a distance to drive, I had to turn around and head back up to the car. It was of course, hotter on the way back up, but I did meet the horse and rider coming back down and boy, was that a happy pony! An hour later I got back to my car, opened the back door and dropped my pack on the seat. And that’s when I heard it. A faint rustling from behind the car. And then another. Instantly, my ears were on alert and, barely moving, I straightened and looked behind the car where the ground dropped away a little as the forest enclosed the parking area. 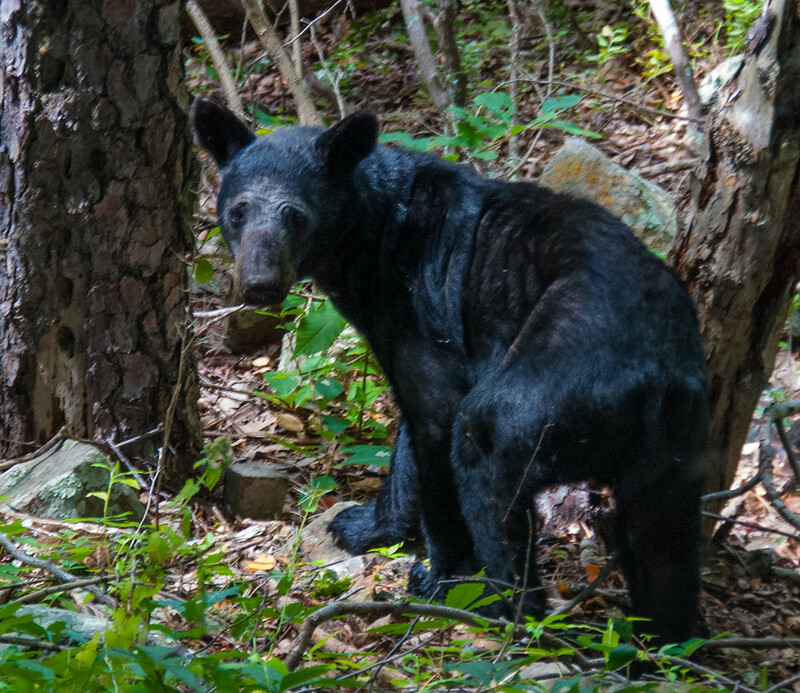 And there, without any fanfare or so much as a yabba dabba do, was an adult black bear not more than three meters away from me. I froze. Which turned out to be the right thing to do. Fortunately. Tell me something: is it possible to be both thrilled and terrified at the same time? Hardly able to breathe, I just watched the bear for a few, very long moments. He wasn’t particularly fat, but he was big enough to cause me considerable damage. 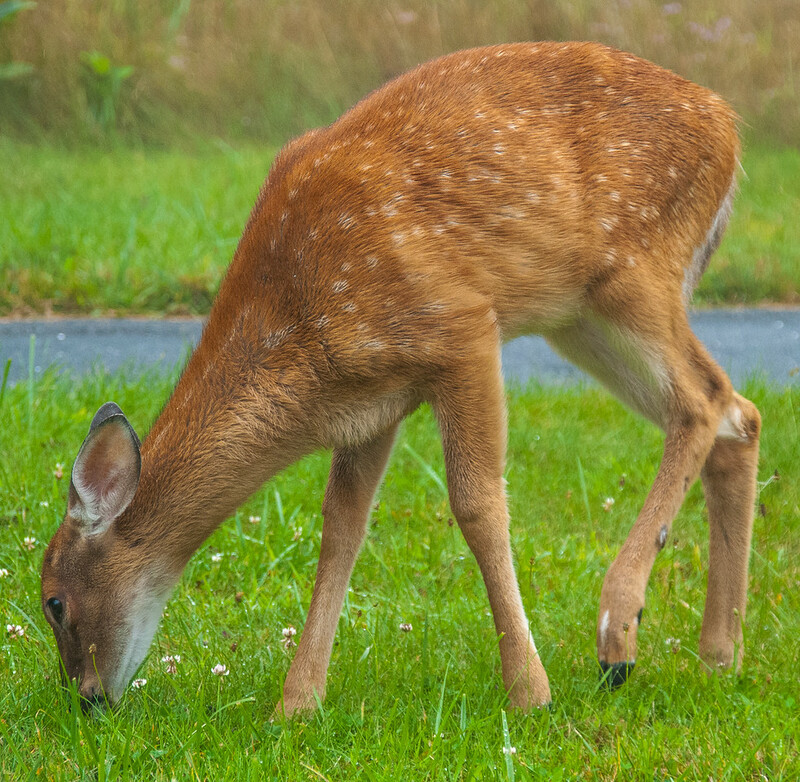 He was foraging at the foot of the sapling immediately behind my car and for those first few seconds, appeared oblivious to my presence. But then he looked up at me – and my heart stopped. The brilliant, survival-instinct part of my brain frantically calculated how quickly I could open the driver door and get in the car compared to how much time it would take the bear to rip one of my arms off. I was pretty sure I could do it – but who wants to take a chance? I didn’t dare move for fear of sparking that exact reaction. He stared at me for a good five seconds – then with what I could imagine was a shrug, returned to his foraging, apparently untroubled by the terrified Australian standing like a rock beside the huge red car-thingy. Carefully and as silently as possible, I opened the car door and took out my camera, hoping I could get a few shots before he changed his mind. But to my surprise, he was as peaceful and chilled as the forest itself. I took photo after photo, following him a little as he moved down hill, still scratching at the ground, picking up morsels, occasionally looking up long enough to sniff the air. 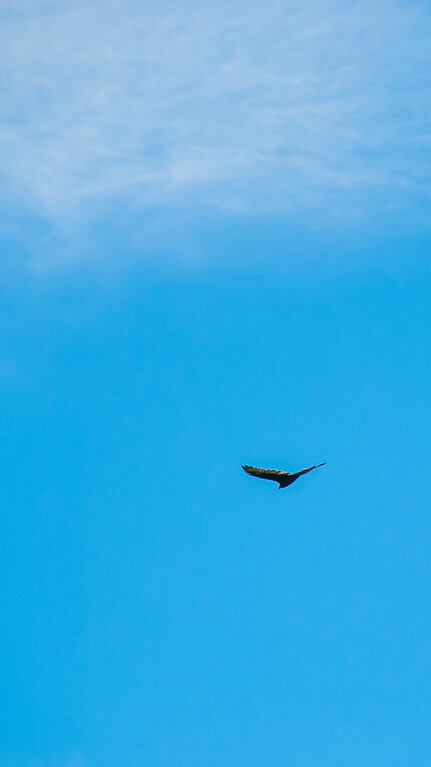 At no time did he appear to be even remotely bothered by me – and I have to tell you, that made my heart swell with the kind of love you can only feel for nature. He was magnificent and beautiful and his glossy coat caught the sun every time he moved. Seeing him for ten minutes just going about his ordinary day was the icing on my Shenandoah cake. 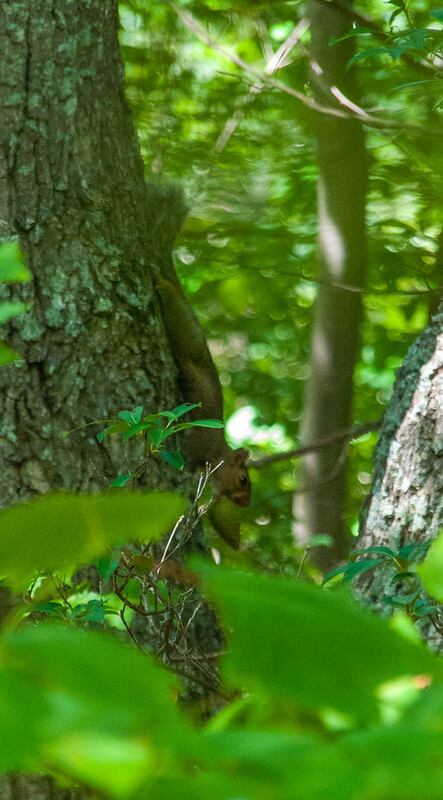 I’d hoped to see a bear – but I knew they were shy and usually stayed away from people. I’d never imagined I could accidentally come across one right next to my parked car. Ah, the wonderful joys of travelling! Dizzy with my experience (and probably a certain lack of oxygen) I eventually continued on my way, heading to Lewis Mountain where I stayed in a log cabin overnight. 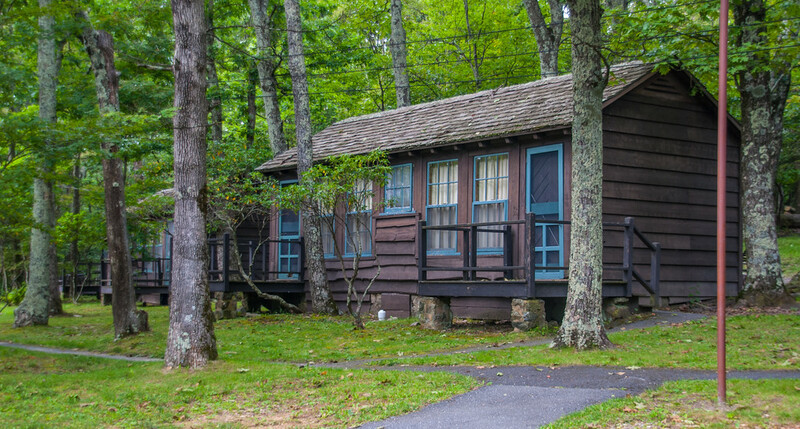 The cabins are a relic of the Skyline Drive construction, built for the workmen to live in. My cabin had actually been the administrator’s (yeah, I know, right!). They’ve all had bathrooms added and are comfortably furnished, set in a delightful forest setting. There’s also a porch and fire pit for each hut. After dinner I sat out there with my little fire going, trying to stay warm as the mountain temperature dropped when I was interrupted by the people in the next cabin. They were sitting outside, much like me, a couple and their little dog. They had some older music playing softly which I was rather enjoying. He gave me a nod and went back to barbequing his hot dog. I sat and stared into the fire with a beer in one hand, wishing I had a marshmallow in the other. Right then I decided to stay another night. It was so delightfully sweet and gentle in this place, I needed more before the next leg of my journey. Alas, it was not to be. I woke to a demented downpour that didn’t let up the whole day, with low cloud covering the entire mountain range in grey fog and shutting out the wonderful views in every direction. There was no point sticking around and I had a flight to catch the next day. But as I turned to head out of the park, I stopped my car in its tracks – and fortunately didn’t cause an accident. Right in front of me were a small family of deer. Yep, just like in Bambi. And just like the bear, they were utterly unworried by my car carefully creeping up close or the clicking of my camera. I’d never seen this kind of deer before, and certainly not in the wild. Or this close. Or not running away from me. 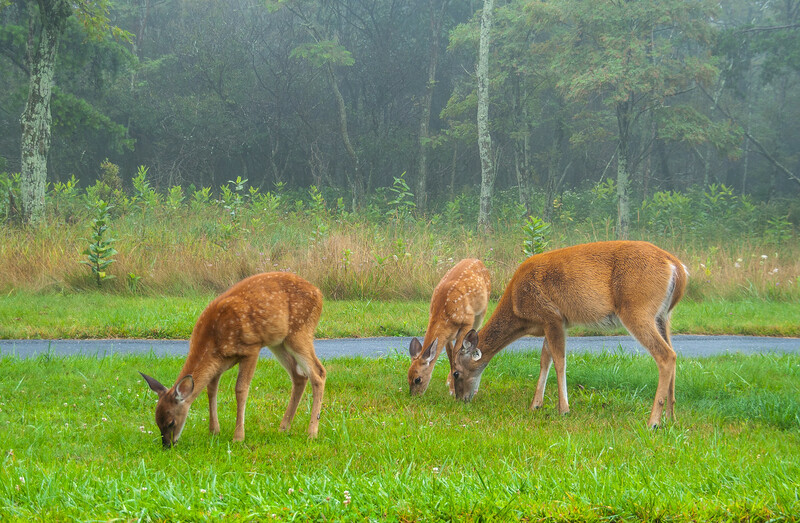 Instead, they just kept munching the grass, a living, breathing example of the magic of this place. How could you not love a forest like this? You can find out everything you need to know – including how to book the cabins where I stayed at the Park website. Bears: I was actually pretty lucky, but if you plan to head into the forest, you should learn a little first. I wish I’d read this before I went, and probably looked up what I should do when encountering a bear. For an excellent resource for the Park, its history and its characters, read The Undying Past of Shenandoah National Park, by Darwin Lambert, available on Amazon. For more about the colourful story of moonshine in the area, go here. The story of the building of Skyline Drive is a fascinating tale itself and well worth looking into. *The poem about Australia is by Dorothea Mackellar, an Englishwoman who visited and wrote this poem. The second stanza is known by all Australians and constantly quoted. Including by me :-). In that second photo of him, he looks like he may be answering one of life’s questions about what bears do in the woods. Thanks! I was hoping you wouldn’t notice that second photo.